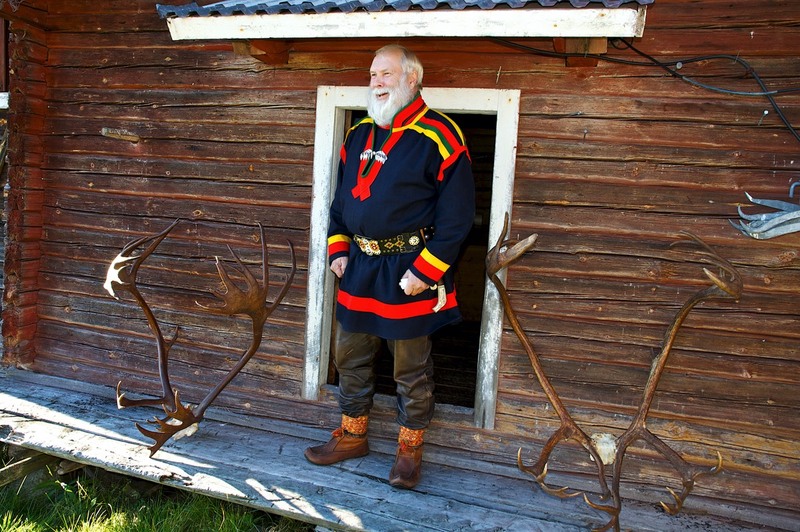 At Brändön you will meet a local Sami who will give us an insight into their culture and way of life. Walk to the reindeer enclosure and learn about the life of the reindeer, the eight seasons and how they work with the reindeer and nature in each of these. We then ready sleds behind the reindeer and start the sled ride towards the Sami tent in the middle of the forest. The sled ride is a slow journey that is similar to the traditional “Ren-rajd”. It is the way the Sami people since way back in time have travelled between their settlements. On arrival to the tent we then sit down around the fire for a cup of tea and take in the atmosphere of the tent and continue the discussions.